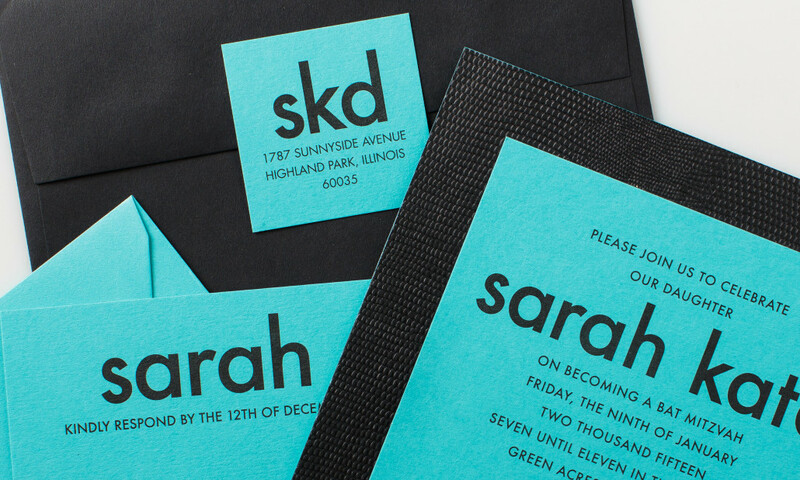 Inspired by the famous packaging of Tiffany and Company, this bat mitzvah invitation was produced with a combination of black lizard skin, “Tiffany” blue and black paper. Matching blue label, edge painting and reply card complete the set. This set can easily be made more masculine by changing the blue to another color of your choice.